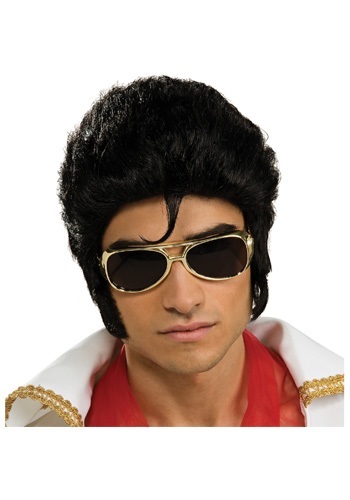 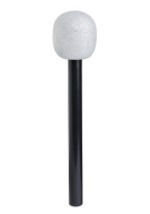 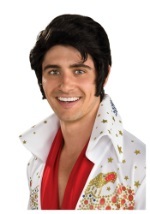 Complete your transformation into the King with this deluxe Elvis Presley wig. 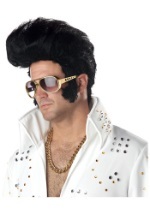 The interior is lined with netting for a comfortable fit and features the King's signature sideburns. 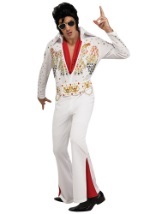 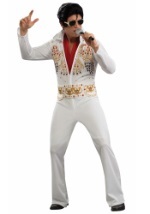 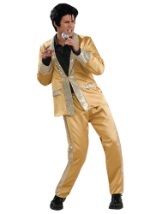 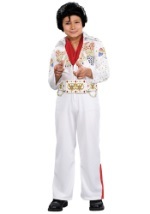 Check out all of our Elvis accessories, like sunglasses, to put your costume over the top, just like Elvis!